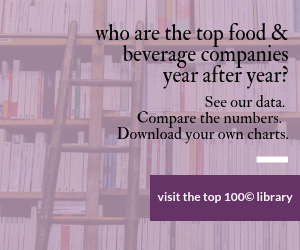 In the waning days of 2011, a number of food & beverage companies made significant acquisitions in developing markets. Coca-Cola spent $980 million to acquire half of Aujan Industries Co., a leader in the Middle Eastern beverage market. Based in Saudi Arabia, the company has a reported $850 million in annual sales. Currently, its leading beverages are juices, juice drinks and flavored malt beverages, but Coca-Cola carbonated beverages are expected to be added. The Wall Street Journal reported that while Coke leads in most of the world, PepsiCo dominates the Middle Eastern market. Nestle SA was cleared by Chinese authorities to proceed with a $1.7 billion acquisition of a 60 percent stake in Hsu Fu Chi International, a publicly held confectionery company based in Dongguan. The New York Times reported Nestle already is s big presence in China, with more than $3 billion in sales. And the Swiss company last year also began acquiring 60 percent ownership of Yinlu Foods Group. ConAgra Foods joined the fray by buying $10 million in additional shares to become the majority owner of Agro Tech Foods Ltd. of India. The Omaha, Neb., company apparently already owned a portion of the publicly held Indian company, which makes both foods and ingredients -- including shelf-stable pudding and peanut butter and edible oils. ConAgra officials said they had a “partnership” with Agro Tech since 1997, which apparently included producing ConAgra’s ACT II-branded popcorn.